Did You Know Physical Therapy Can Help Alleviate Low Back Pain During Pregnancy? Education and exercise therapy have proven effective in reducing back pain for most expecting mothers. According to a 2014 article in the Journal of Orthopaedic and Sports Physical Therapy, a physical therapist-directed exercise regimen that focuses on the muscles around the spine and pelvic floor – a program that includes strength training, aerobic exercise and balance training – can greatly benefit the approximately 2.5 million women who experience lower-back pain related to pregnancy each year. 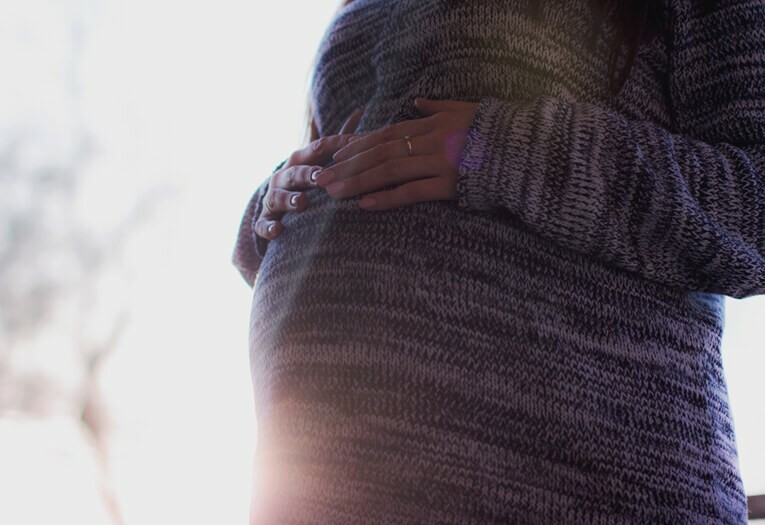 According to Johnson, the added weight of pregnancy, coupled with the release of hormones that relax the ligaments in the pelvis, lead to strain in the hips, pelvis and lower-back. Diagnosing the exact cause of pain, however, is essential in determining the safest and most effective treatment paths for pregnant and postpartum moms. As hormones relax the ligaments, stronger muscles can help stabilize the pelvis and lower-back. A physical therapist can teach women safe and effective exercises that specifically target the muscles in this region of the body – exercises that can often be performed at home. Along with strength exercises, stretching the muscles around the hips, pelvic floor and back can also help relieve pain and discomfort. The American College of Obstetricians and Gynecologists (ACOG) suggests expecting moms exercise for 15 minutes three to four times per week, at a heart rate of 140 beats per minute. A physical therapist will help identify aerobic exercises, like walking, swimming, yoga, etc., that are both safe and effective. Other Options: A physical therapist may decide that other treatment options, such as manual therapy or braces, might be effective based on one’s specific diagnosis.